As you know, Corey and I celebrate both Jewish and Christian holidays at home. While we've been lighting the Chanukkah candles each night, we've also been decorating for Christmas. Our fist step was to make our entrance look festive. There are so many pretty DIY wreaths on Pinterest... and one year, I may branch out (get it? 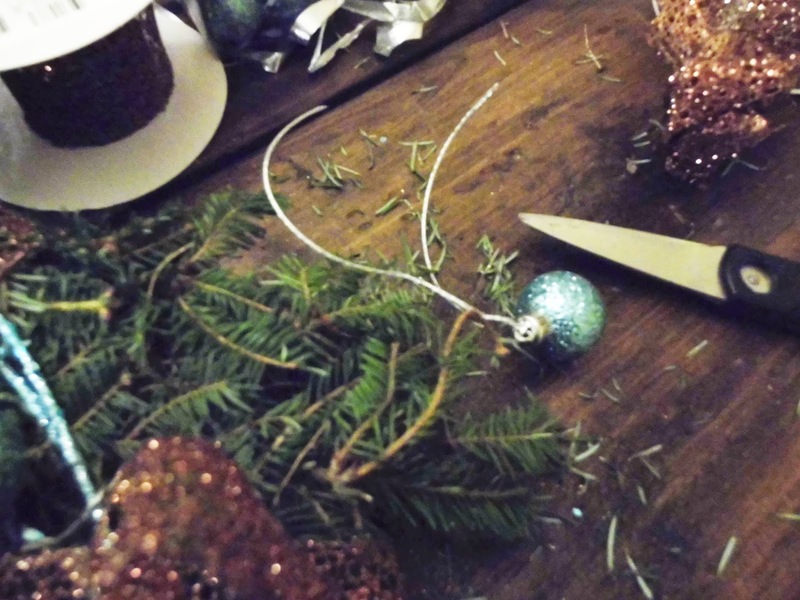 branch...) and try one, but I was feeling sentimental this year and wanted something more traditional. I inherited most of my DIY skills from my mom, who was always a little ahead of her time when it came to holiday decorations. Growing up, one of my favourite holiday decor accessories was a set of three apothecary jars adorned with pretty tartan bows that my mom saved each year. The largest was always filled with shiny red ornaments; the medium jar had candy canes and the smallest was filled with Chanukkah gelt so that we wouldn't forget that Christmas wasn't the only holiday celebrated this time of year. Also, because chocolate coins are awesome! 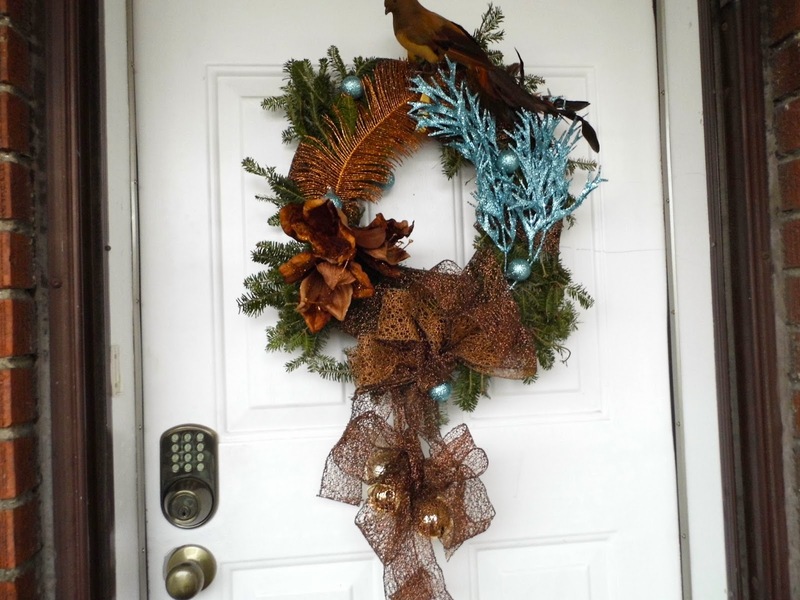 Another fun tradition for us was decorating the wreath for the front door. 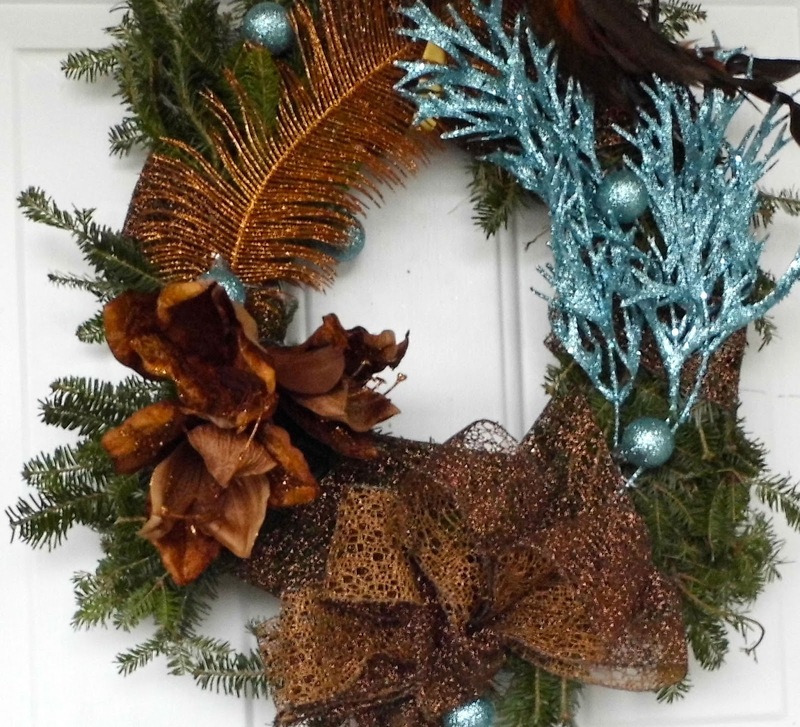 Each year, we bought a real wreath and my mom saved ribbons and ornaments in a box so that each year we could choose the ornaments and colour theme we wanted. There are some beautiful modern wreaths that I could make, but somehow, the ritual of decorating a fragrant wreath with ribbons and baubles, seems more special. 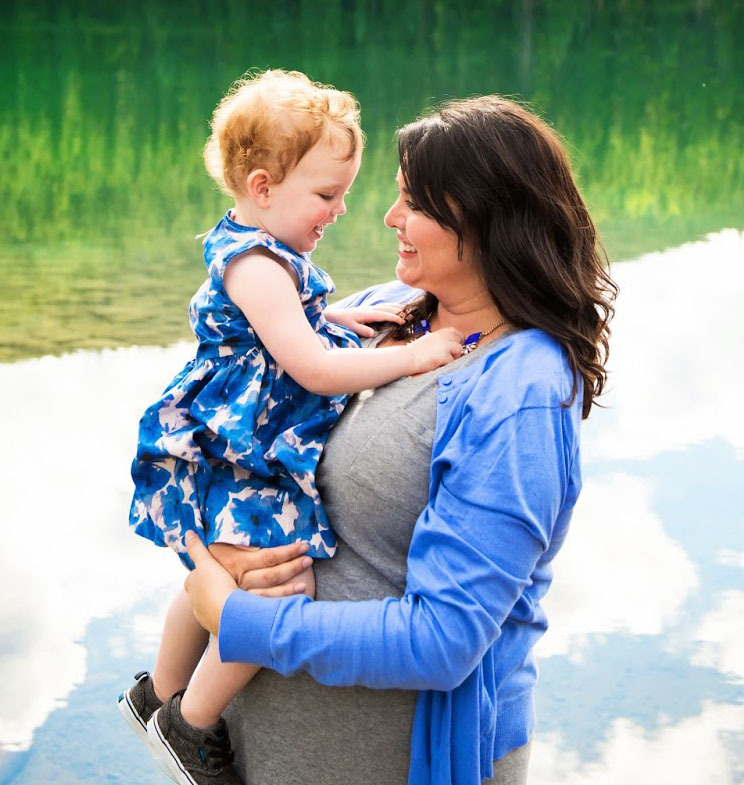 I'm going to show you how we made ours, but I'm also going to leave you with lots of eye candy and other ideas I'd like to try one year! We bought a basic pine wreath and gathered some ribbons and supplies. 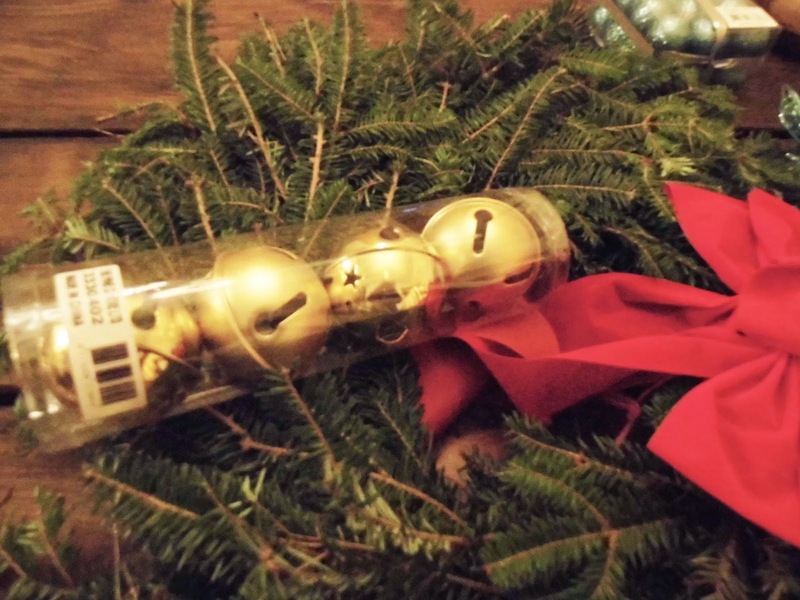 To me, a door should jingle a little at this time of year, so I had to include some bells. 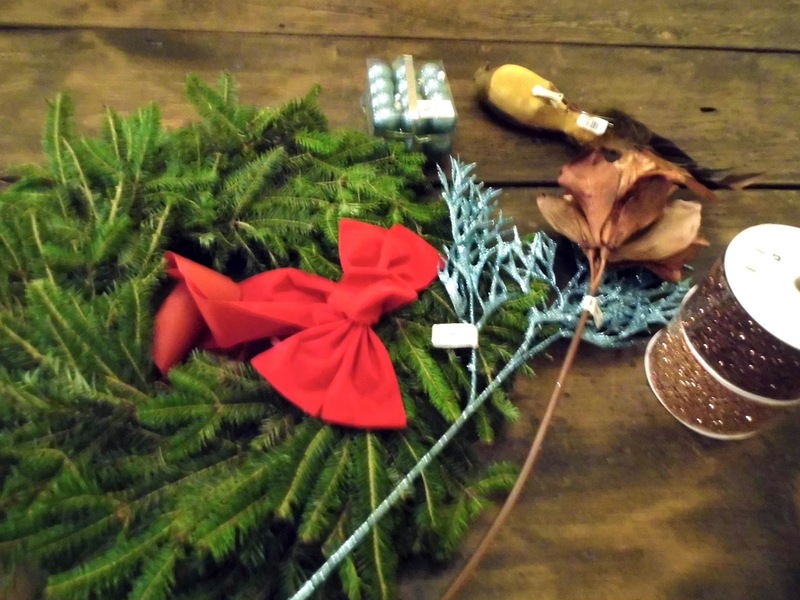 I clipped off the gaudy red bow that came with the wreath and affixed our own ornaments. We had tons of wire lying around, but you can pick it up at any hardware store. Just make sure it's fairly easy to bend. 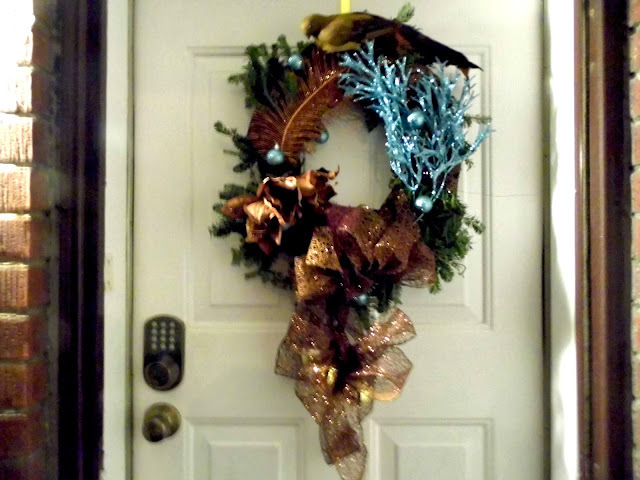 I then wrapped the wreath in pretty wire ribbon. 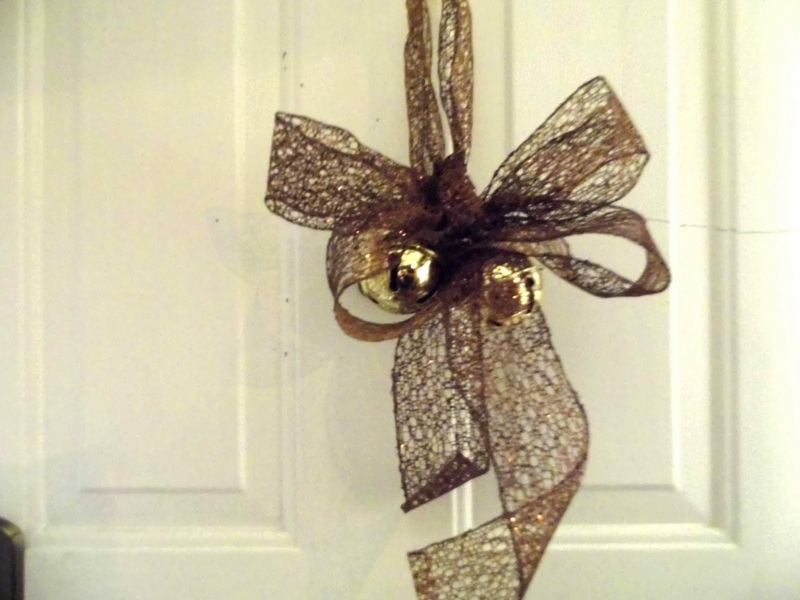 Everything looks nice with wire ribbon tied to it! It sparkles nicely at night! 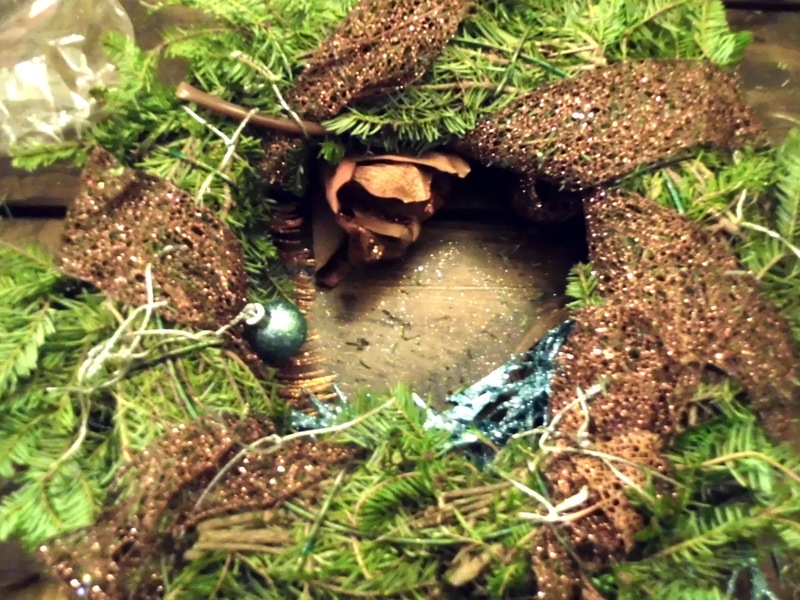 I bookmarked this acorn wreath years ago. I think it would also look nice spray painted in navy blue with a gold ribbon... and maybe a bird. 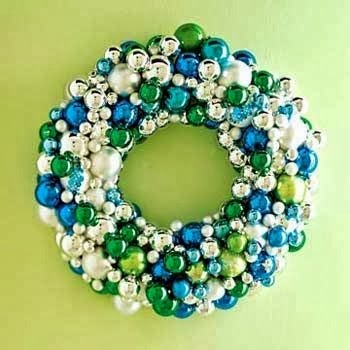 I think this ornament wreath is so pretty. It's also fun and colourful enough that kids would like it too! You know by now, that I like a little sparkle. 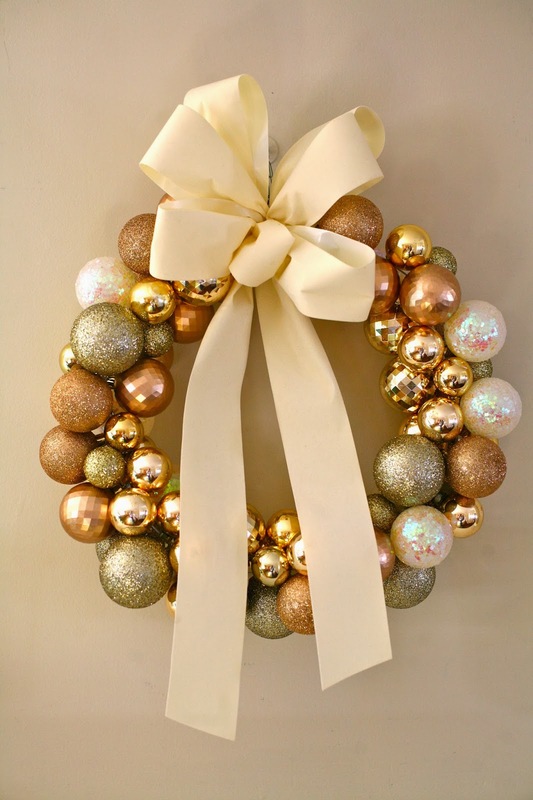 This glittery wreath would do the trick! I especially love the understated colour of the bow. 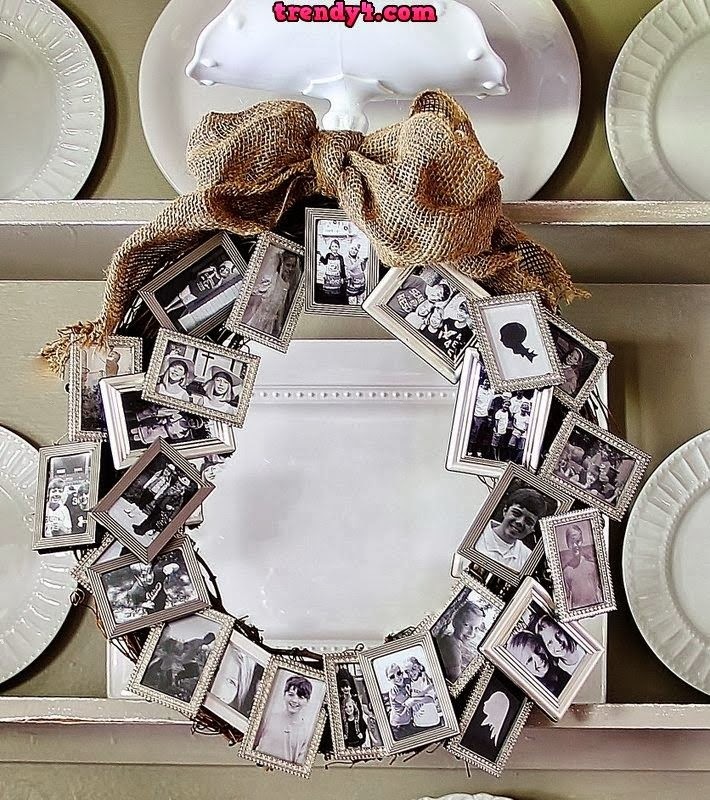 This photo wreath is nostalgic and beautiful. I think it would look beautiful indoors. Oh Martha Stewart, you always know just what to do! 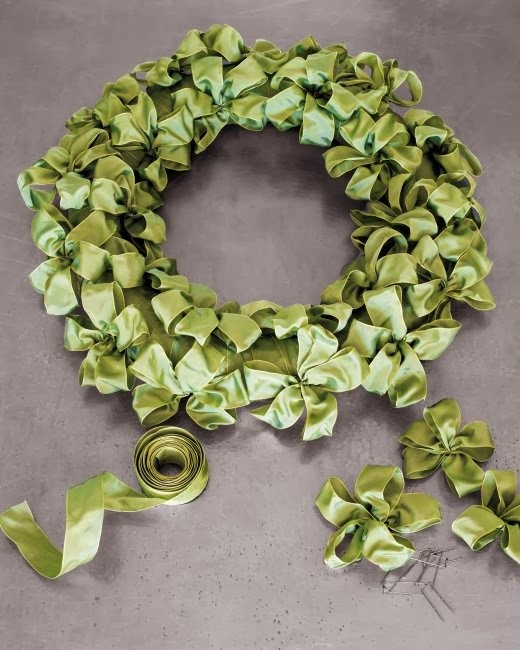 This bow tie wreath is stunning! 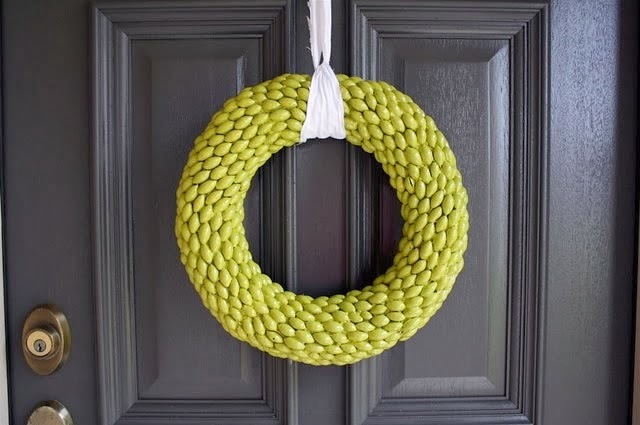 I'd love this in winter white with some faux red or purple berries scattered throughout. 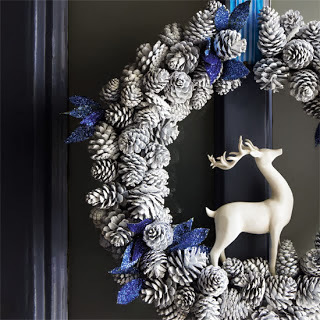 This pine cone wreath actually looks simple enough that I may attempt to make one eventually. Again, Martha thinks of everything! 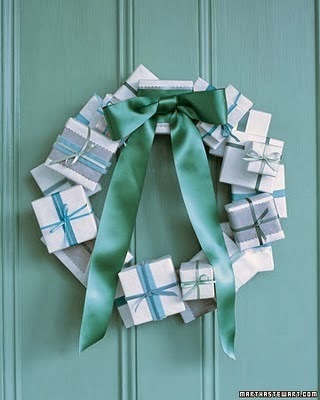 I love the idea of this pretty gift wreath! What do you think? Which one is your favourite?